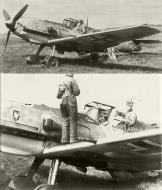 Photo 01: A modified for night fighting with black paint and the Emil PeilG IV under the fuselage. The carapace in the canopy was omitted in order to ensure a better view. The serial code is in deep red. Manching is a municipality in the district of Pfaffenhofen, in Bavaria, Germany. It is situated on the river Paar, 7 km southeast of Ingolstadt.